After a leak last month, Sony has now confirmed the games which will be coming to PS Plus this November, which will be available starting this Tuesday (November 6). This month’s headline game undoubtedly Yakuza Kiwami, a remake of the original Yakuza game which hit the PlayStation back in 2005. 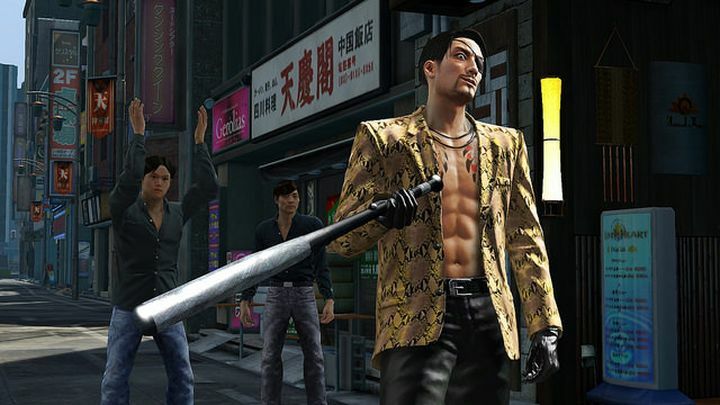 If you’ve never played the Yakuza game before, these take place in the fictional Japanese district of Kamurocho and star “the Dragon of Dojima” Kazuma Kiryu. There’s an intricate plot involving criminal families to follow through in each game, as well as plenty of martial arts fights and open world activities such as karaoke to engage in. Aside from Yakuza Kiwami, PS4 owners who subscribe to PS Plus will also get a chance to play Bulletstorm: Full Clip Edition, an over the top first-person shooter game by the people behind Gears of War: Judgment and Painkiller. Sony also caters for PS3 owners this month with The Jackbox Party Pack 2, in which up to 8 players can take part using their mobile phones as controllers, and will be right up your alley if you like party games with plenty of trivia questions thrown in. For PS3 there’s also Arkedo Series, a collection of 3 well-reviewed retro games comprising two platformers and a Tetris clone. PS Vita players on PS Plus will also get their share of fun this month thanks to Burly Men at Sea, an original adventure game inspired by Scandinavian folklore. There’s also Roundabout, a game in which you drive passengers to their destinations on a limousine which is constantly spinning, the story of which is told through live action video featuring real actors. Aside from this, there’s still time to get hold of October’s PS Plus games including Friday the 13th: The Game and others. And here’s hoping we keep getting more good games each month from Sony’s service, although it remains to be seen whether December’s PS Plus games will be icing on the cake in what has been a pretty good year for PS Plus members so far.